Will also be part of the master. This means that MenuQue will now be required. 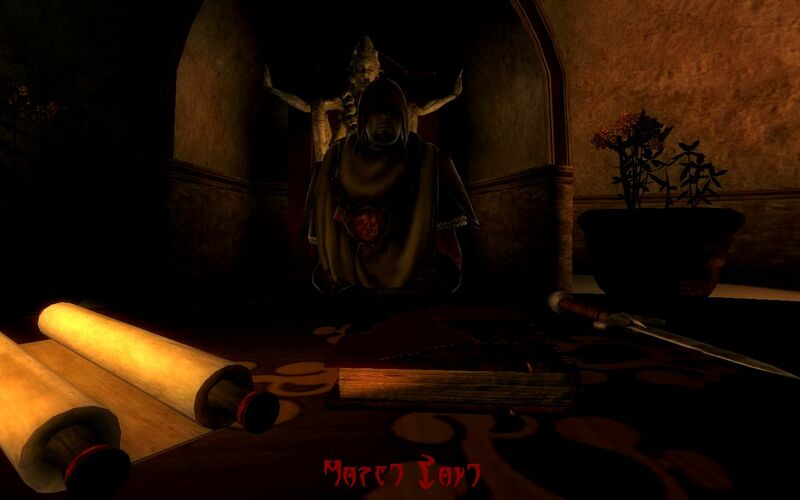 Improvements to Morroblivion's intro sequence will be merged, however part that starts Oblivion's main quest will not. Cannot be directly merged for technical reasons. However, parts of it will be separated and bugfixes carried over to the master. - Revised the stats of all armor pieces, bringing them to a single standard. - Separated Indoril Greaves and Boots and added Indoril Greaves as a new item. - Renamed regular unenchanted versions of Her Hand's Armor to High Indoril Armor. - New models for Trollbone armor set. - Restored all potions which were left out during original conversion. - Checks for OBSE and other error detection moved to Oblivion's main menu. - Quest "Dwemer Bone" will now be returned to "unfinished" in journal once the second part of the quest is triggered. - Previously unused diseases can now be contracted from various creatures. 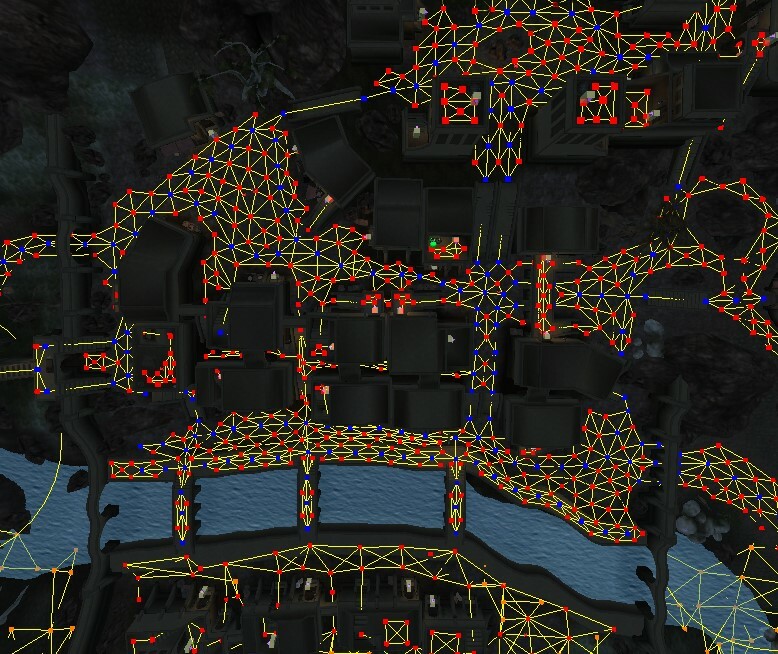 - Ilmeni Dren's house changed to "public place" until proper AI packages for Vivec City are made. - Tweaks to AI in Sadrith Mora. - Changed conditions in Morroblivion initial quest to make it compatible with Oblivion's alternative start mods. - Mining Stalhrim now has 100% success rate. - Fixed several bugs in "Tul's Escape" quest, restoring all possible endings. - Fixed several bugs with selling items to the Museum of Artifacts. - Enchanted belts which need it will now use Cast When Used enchantments. - Galbedir will now correcly leave her post during "Mages Guild: Fake Soul Gem" quest. - Removed the unnecessary disposition boosts from faction quests: FG, TG, MG, IL. - Fixed health values of Trueflame and Hopesfire. - Removed non-quest dialogue from Radac Stungnthumz. - Fixed being unable to continue "The Disappearance of Captain Carius" quest under certain circumstances. - NPCs will now properly surrender during duels in "Armor Repair Debts" and "Ondres Nerano's Slanders" quests. - It is no longer possible to receive Imperial Legion quest for finding Chrysamere before returning Lord's Mail. - Fixed a bug where player sometimes wasn't advanced in Imperial Legion upon returning Chrysamere. - Cliff Racers will no longer follow player into interiors, to prevent potential issues. - Fixed issue with Tarvyn Faren not following the player during his related quest. - Fixed a bug when curing kwama queen during "Hlaalu Stronghold" quest wasn't properly updating the quest. - Fixed a bug with House Hlaalu members being hostile during "Telvanni at Odirniran" quest for House Hlaalu. - Fixed an issue with the effect from Fork of Horripilation sometimes being stuck on the player after Sheogorath's quest is completed. - Restored missing alchemy effects to Spore Pod. - Fixed multiple spelling errors in object names. - Corrected position of some misplaced objects. - Tweaked InUVULUintUcenterU02.nif to make it line up with the rest of the tileset, closing small gaps in several Ancestral Tombs. - Fixed collision on 7 pieces of Daedric tileset, which were facing the wrong way. 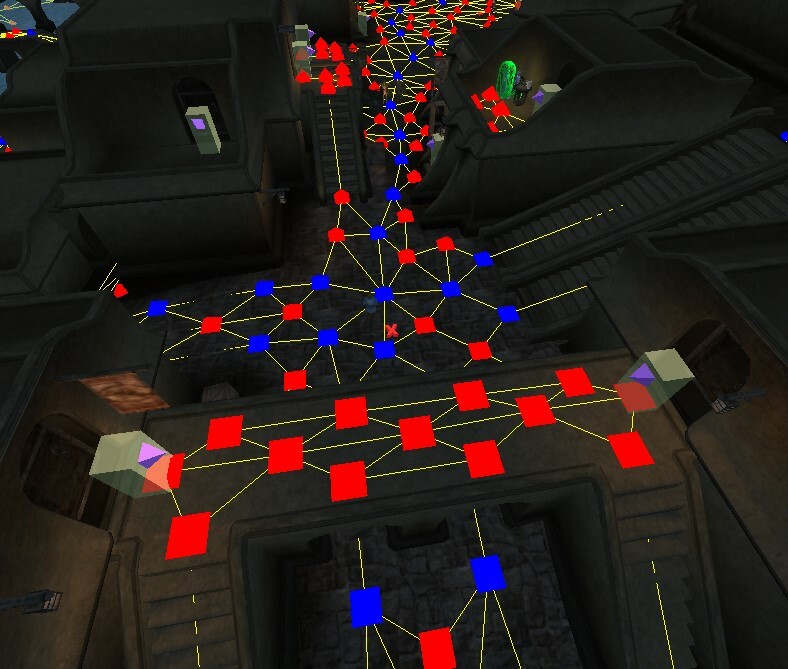 - Fixed collision on Vivec's Foreign Quarter and Vivec Palace meshes. - Restored temporary collision meshes for Bloodmoon creatures. - Included CS-generated facegen textures for Morroblivion NPCs (this may or may not improve game performance). Thanks, these will be helpful. 1) "Clothing Galore and More Better Good Clothes" - Do it for now as a separate mod. I assure you, this is a stupid idea. People use different body replacer. 2) "Universal Cast-When-Used System" - It is extremely doubtful. Leave it as a separate mod. 3) "Signy Signposts" - need to discuss. 4) "Morroblivion Voice Acting mod" - Need to clarify. 5) " facegen textures for Morroblivion" - Need to clarify. I really want the mod remained a remake of the original game, but not copy Skywind. I think this is the best idea that will leave the mod competitive. Therefore, be careful with plugins. With regards to models and textures - trust me. I have already redid their huge amount. 1) To put in order the BSA-files: that texture creatures were in the folder "creatures". The most used body replacers are Roberts's male and HGEC (and it's variations) female. For more exotic ones patches can be made. Also, majority of clothing pieces can be used with any body without graphical issues. It's a function in CS, used for vanilla Oblivion NPCs, but very rarely in mods. Some people say it can improve performance slightly. With regards to models and textures - trust me. I have already redid their huge amount. Like which ones? Did you redo them from scratch? Can you show a couple of examples? 1) I know. I use them myself. 1) I know. I use them myself. Even made for them an excellent texture. And what clothes replacer do you want to use? I change apartment, therefore i will take screenshots later. 3) I can do it myself. I know. I use them myself. Um, yes. Without it enchantments are broken. By the way, instead of a "Morroblivion Voice Acted Mod" it is better to use a original morrowind voice. I remember that some clothing replacers is buggy. Offer your replacers, and I will test them carefully. Everything there was is already used. I like, for example, the original voice. What should I do then? What "original voice" do you like? There is none, it never existed. The only voiced lines from Morrowind are short topics NPC say outside of dialogue mode, and these are included in Morrowind_ob - Conversation.esp. New voices are provided as a separate BSA file. If you don't like them, don't install it and enjoy the silence. Edit: Signy Signposts should defiantly be added into the Master, It does provide a much needed facelift! I'll do that if they remain optional. I have one concern about merging graphic replacer mods which require an ESP: by merging them into the ESM, you permanently change the record and make it incompatible with any ported Vanilla Morrowind mods which might be ported in the future. Of course, this can usually be solved by making a compatibility mod to revert the records back to vanilla Morrowind settings... it is not a deal-breaker, but just something to be aware of future consequences. Sorry, I don't quite understand. Can you give an example? Unfortunately i am not able to help for the moment, but there is always that "khuul npc package" of me, if you want to mess with it and add it to your new release. I can send your the file if you like. 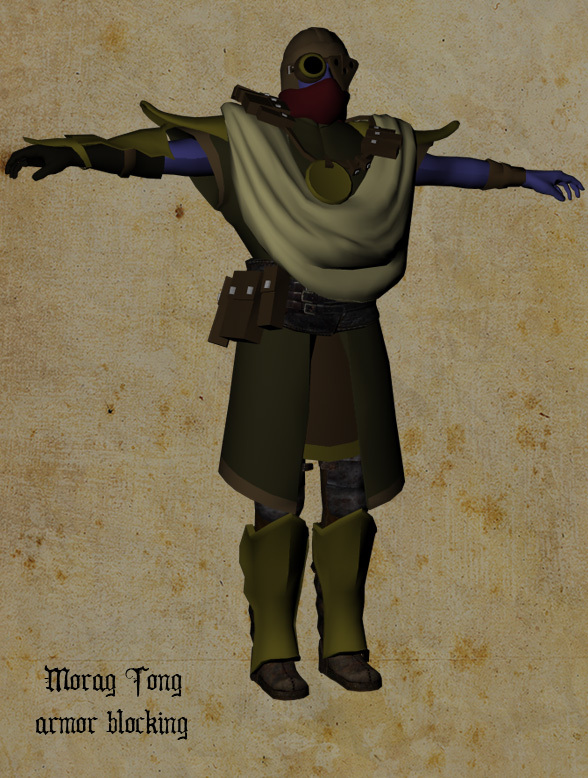 Many Morrowind Graphic Replacer mods use a method called "plugin-less replacement" where the mesh and texture files are replaced with new files using the exact same filename, and the ESM is not modified. By doing this, any mods which add new records that reference these vanilla filenames will automatically be updated with the graphic replacers. ESP-based graphic replacers use new mesh/texture files that have different filenames and an ESP which modifies records to point to the new filenames. If ESP-based graphic replacers are merged into the ESM, then future plugin-less replacers will need a compatibility ESP to reset modified records to point back to the original vanilla mesh/texture filenames. This is not a big deal especially since there is already filename mangling that happens due to a difference in naming schemes between Morrowind and Oblivion engines. It is just something to keep in mind. You do not know where this armor? Who to contact to return it to the mod? I....think I might have an updated/fixed version of my More Better Good Clothes mod, I'm not absolutely sure. I need to compare what I uploaded to the version in my WIP folder. Regarding the body textures, a converter exists that can fit all the clothes to the vanilla body/textures if necessary (at least for the HGEC ones, because there ARE alternatives for female bodies like RF, etc. ), but I'm not willing to take the time to fit the male clothes back to vanilla male. It's not hard, but it's time-consuming, and Robert Male is really the only well-supported male texture type there is. When will v065 be released, Any target date? Although in many cases it is possible to just use the assets/textures and rename them to have the same names as the originals, and then not need an .esp. Of course when there are multiple textures whereas the original mesh only used one, this becomes harder. Thank you, I've added it to the list. Ok, I understand what you mean now, but it seems like a very situational problem, honestly. I think it can be corrected manually, if needed. No, sorry. Looks like a WIP screenshot, you sure it was actually released? I....think I might have an updated/fixed version of my More Better Good Clothes mod, I'm not absolutely sure. Thank you. Please, share it, if you find it. I'm hoping to finish it in March, but such things are always hard to predict. I welcome all contributions and can wait for you to finish, if necessary. This screenshot causes my confusion. I remember years ago, I believe around the time you released your Silt Strider Overhaul mod, that you were planning to add wild Silt Striders to be encountered in the ashlands. Were you going to include those in the next update? The vanilla Silt Strider is actually an animated static model. HOWEVER...I converted the Wild Silt Strider model/animations from Tamriel Rebuilt a few years back. It has working collision, but if you try to place them indoors or in city streets, there are ISSUES. The collision is extremely convoluted to allow you to walk between the Silt Strider's legs, etc. Still, someone might find some use for them. Super-cool! Thank you for sharing, Puddles! Yeah, they're really distinctive. I love the sound they make. Yeah, I have wild silt striders working. I'll release them probably around the same time as v0.65, but not as part of the master - it's a separate mod.